WHETHER IT IS YOUR FRIEND, PARTNER, MOM OR DAD… BAKE SOME SCONES WITH YOUR VALENTINE! Join Jezabel for an intimate, hands-on baking class to learn how to prepare one of her favorite go-to signature baked goods. During class, you will make your own blueberry scones from start to finish and at the end you will enjoy brunch. Before we say goodbye, you will take the scones you made to bake at home. Tickets can be bought in pairs (or even numbers) ONLY. All participants will receive a 15% OFF coupon for purchases from the Studio’s Boutique the day of the class. What a better way to send off 2018 Argentinian style than a fun cocktail party at your local hang out? Stop by to taste Jezabel’s favorite bites and do not forget to BYOB. Salud! This would be an opportunity for us to thank you for your continued patronage, to enjoy a great time and to celebrate the memories we built together during a wonderful 2018 and to toast to better things to come in 2019! Popular throughout the Andes mountains of South America, and specifically in the Northwestern region of Argentina, LOCRO is a thick, rich stew of different meats (usually pork), pumpkin, beans and corn, traditionally simmered over several hours and sometimes from one day to the next one. It is one of Argentina’s national dishes, ideal for a cold winter day, and Jezabel’s brother, chef Jesus Careaga, will be cooking an authentic locro for us. 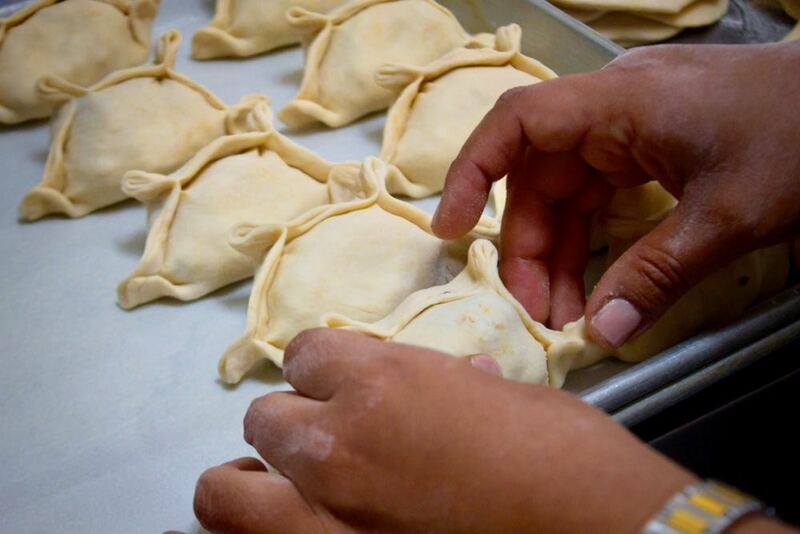 Guests will learn how to prepare and will make their own empanadas, with yummy vegetarian fillings: Queso y Cebolla (cheese, onions and leeks) and Lentejas (spicy lentils) which is our vegan option. ARE YOU LOOKING TO LEARN HOW TO MAKE THE MELT-IN-YOUR-MOUTH SWEET TREAT THAT YOU ENJOY AND LOVE? Just in time for the holidays... Join Jezabel for a hands-on baking class, while enjoying a typical Desayuno Argentino. You will learn how to prepare and then assemble one of her signature baked goods. Jezabel will share the family recipe and step by step directions the way her grandmother taught her, while you savor a cafe con leche, medialunas and orange juice. Before we say goodbye, you will take home a box of 4 alfajores to share with family and friends (or not, remember that we will never judge you!). Join Jezabel for an intimate, hands-on cooking class to learn how to make her trademark Argentine staple. Guests will learn how to prepare the traditional beef filling, as well as spinach and mushroom filling for veggie lovers. Each guest will make their own empanadas and Jezabel will personally assist with the repulgue - crimping-. While the empanadas are baking you will enjoy dinner with two empanadas and a chef special salad for the night. As we wrap up the evening you will indulge on Jezabel’s go-to dessert: Mousse de Yogurt & frutos rojos. JOIN US FOR A FUN COOKING CLASS AND HAVE BRUNCH AT OUR STUDIO. Jezabel will host a hands-on class where you will learn to prepare one of the most characteristic dishes in Spanish cuisine: Tortilla de Patatas or Tortilla Española. After the class you will enjoy brunch. Tortilla de patatas with aioli. Medialunas de jamón y queso. Mediterranean salad with a simple vinaigrette: mixed greens, lentils, cherry tomatoes, cucumber, red onions, kalamata olives and feta cheese. Join us for a special night on Friday September 21 and enjoy traditional Argentine pizza. All pies are Sicilian/Calabrian style pizzas, consisting of thick, spongy but crispy-on-the-outside crust, and we’re preparing them round (11 inches) as it is our tradition in Argentina. One pizza can be shared by 2 people, but we won't mind (and most importantly, won't tell) if you go wild and order one just for yourself. Buen provecho! Please give as a call with your selection, no later than Thursday, September 20. Please take a look at the menu above and let us know your pizza selection in the "Add a special request" field of the OpenTable confirmation page. WE'RE MAKING THE QUINTESSENTIAL ARGENTINIAN SANDWICH: CHORIPAN. Once again we will be firing up the grill outside the Studio in celebration of a wonderful summer season coming to an end, and Labor Day weekend. Stop by on Sunday September 2, from 4:00 to 7:00PM to say hi and chat while we are grilling and most importantly, to taste a traditional Argentinian staple: the choripan. A mate gourd and bombilla straw are essential for traditional yerba mate preparation: that's why we have partnered with Teaglass. 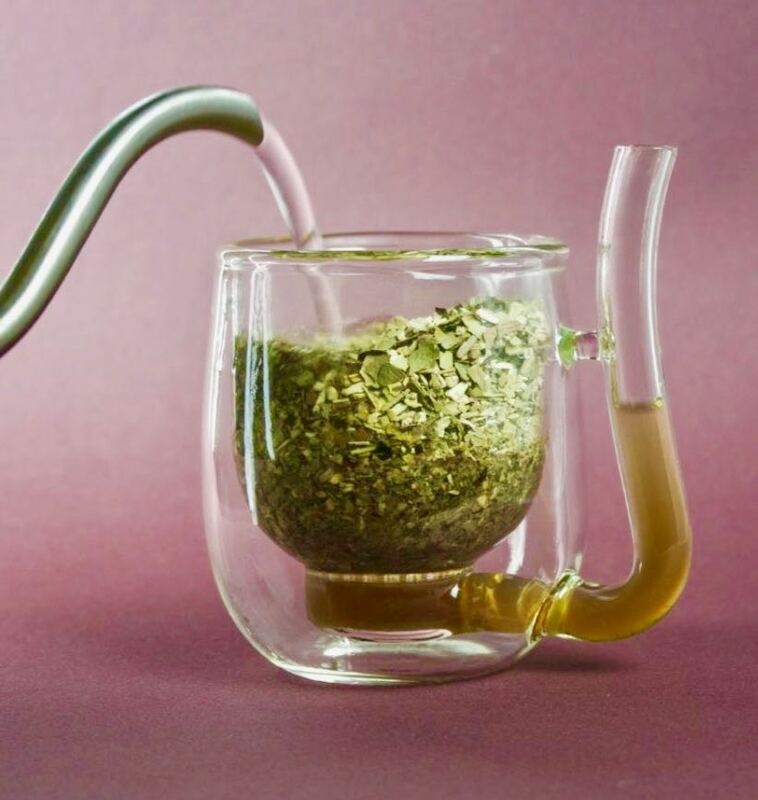 Teaglass has created an ingenious and innovative design that makes it easy for anybody to adopt the healthy habit of drinking and enjoying yerba mate. Their beautiful glass gourd is a low-maintenance option and ideal for beginners or expert mate drinkers alike. Please join us on Saturday August 18 from 12:00PM to 3:00PM for a mate tasting using this new invention. You will also have the chance to ask everything you always wanted to know about yerba mate but were afraid of asking. ...AND TO CELEBRATE WE'RE MAKING THE QUINTESSENTIAL ARGENTINIAN SANDWICH: CHORIPAN. We can't believe it's already been 1 year! To celebrate this milestone, we will be firing the grill outside the Studio. Stop by on Sunday July 8, from 2:00 to 4:00PM to say hi and chat while we are grilling and most importantly, to taste a traditional Argentinian staple: the choripan. After you enjoy a sandwich, grab a piece of birthday cake made by Jezabel herself. Join us for a special evening on JUNE 21 and enjoy traditional Argentine pizza. All pies are Sicilian/Calabrian style pizzas, consisting of thick, spongy but crispy-on-the-outside crust, and we’re preparing them round (11 inches) as it is our tradition in Argentina. Please give as a call with your selection, no later than Monday, June 19. Please take a look at the menu above and let us know your pizza selection for the evening in the "Add a special request" field of the OpenTable confirmation page.